Some of the favorite vacation spots our ILP volunteers love to visit made this list of “places to avoid in 2018”. Good thing we found new spots for you to explore. CNN’s published an article packed full of tips for travelers who want to avoid being one of the thousands of tourists who flood these popular cities … some of which are favorite vacation spots to visit for those who spend a semester volunteering in Europe. With so many countries to see in Europe it’s not surprising that a few cities are a more popular than others, but does that ruin it for the rest of us? 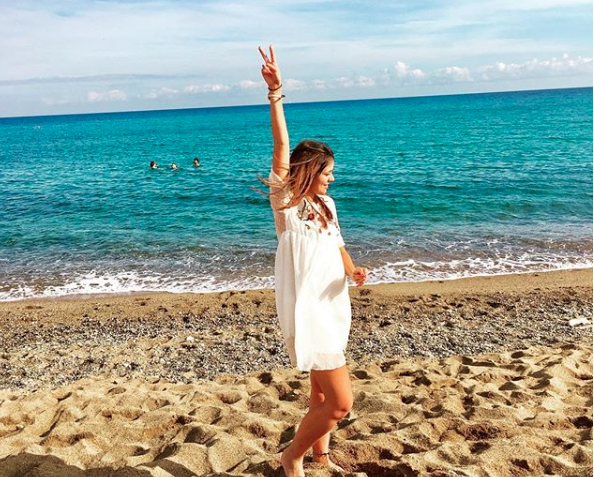 Figure out how to backpack Europe on a budget on our guide: All The Things To Do In Your Twenties. Chances are at least one of these cities is on your “to-visit” list — and for good reason! These places are gorgeous and exciting but less so when you’re part of the swarming crowd trying to get that perfect Instagram shot. For anyone living in Europe (looking at you, ILP volunteers!) here’s a few from the list … and suggestions on where you can visit instead. Don’t get us wrong — we love Barcelona. Stunning architecture, those sunny beaches and palm-tree lined streets filled with vendors selling churros dipped in chocolate? Yes, please. Turns out, everyone else loves Barcelona, too which means crowded streets and touristy gimmicks. If you want to avoid the trend and the crowds, opt to visit the dreamy city of Valencia instead. You’ll get the same dose of culture, art museums, beaches food and sunshines without the crowds. This charming city used to be quite the hidden gem, but people have definitely caught onto the glittering coastlines and red rooftops (though we still love seeing Dubrovnik via cable car!). If you still have your heart set on seeing this city specifically, CNN recommends traveling independently (like with your ILP group!) instead of with a huge tour or cruise line. 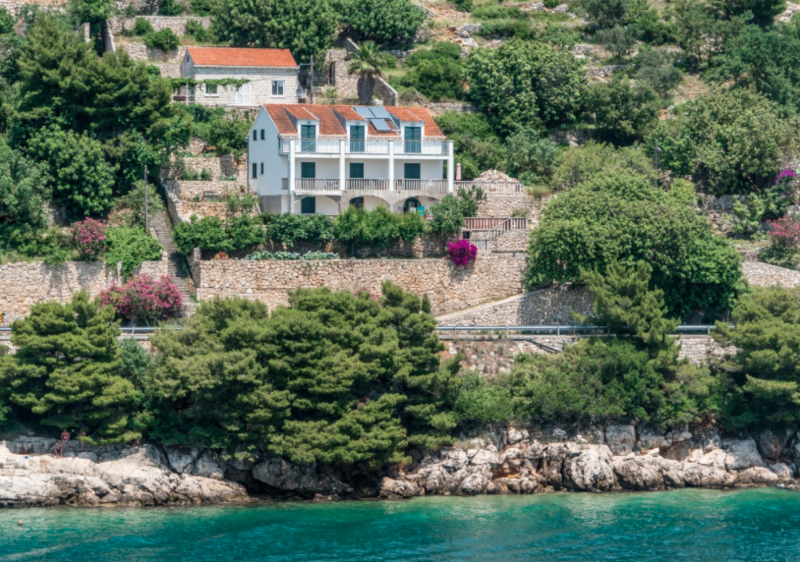 You can also get the same charm in nearby Cavtat if you’d rather skip out on the touristy town of Dubrovnik. Sorry to crush your dreams, but you’ll be one of the 30 million people who visit this iconic Italian city (that’s a lot of tourists to compete with!) … but it can be hard to pass up a visit to Venice completely. If you want to get more out of this city, avoid the hordes by wandering in the lesser known alleys. Spending more time here can help you uncover the real Venice. 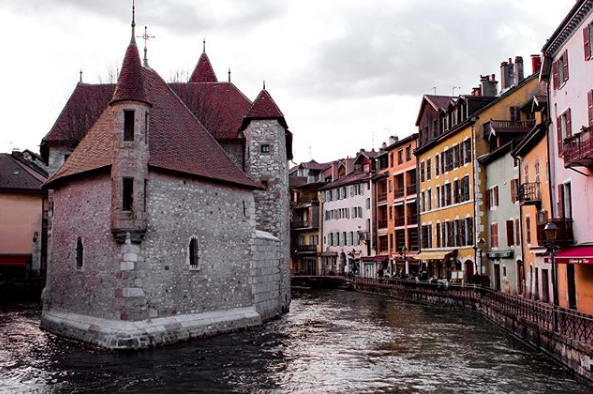 Head’s up — You can also visit Annecy in France if you still want dreamy canals and truly quaint water towns without the hype of Venice (just look at that picture!). We have a guide to Annecy filled with more dreamy photos and top tips for planning your vacation there. We won’t hide it; we love Greece! But this tiny island is a major stop for cruise liners and tourists who pour into the streets making them less peaceful and charming. 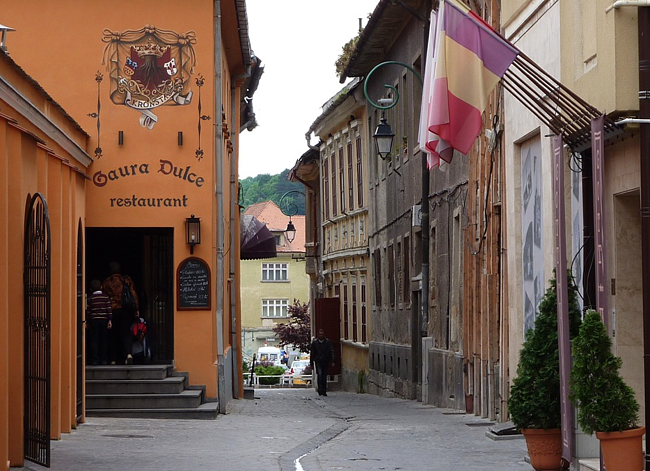 If you still would love to visit, stay for a few days so you can really appreciate the pace of local life and wander through less crowded areas. Or even think about vacationing on a lesser known island, like Crete, Naxos or Patmos … or the very quiet island of Anafi. All these boast incredible food, pretty beaches, miles of coastline perfect for that sunset shot and the Greek architecture you’re looking for, all while skipping out on Santorini’s crowds. Another ILP Europe favorite is Cinque Terre (we adore the honey gelato) but we get it; crowds make it less charming. Luckily, this city is still worth seeing especially in the off season (good news for those volunteering in the fall and spring semesters!). 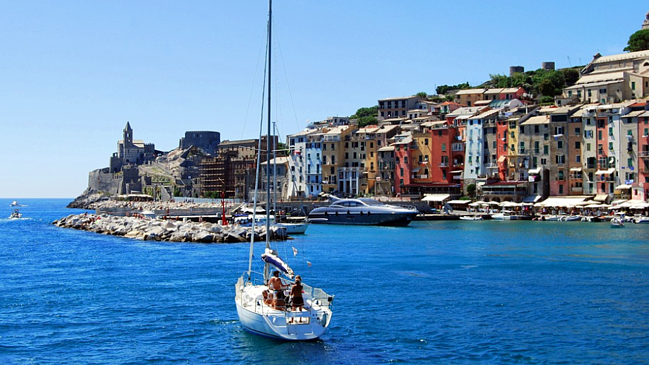 You can also put in the effort to see the nearly-untouched city of Porto Venere, tucked in the north on the Ligurian coast. Like Cinque Terre, you’ll love the colorful buildings stacked along the coast, streets pouring with bougainvillea, amazing sunsets (and gelato) along with pretty beaches. It’s not that these cities aren’t worth seeing, it’s just that they’ve become quite the popular tourist attraction which has its downfalls. One way to still see these cities (they are pretty famous and popular for good reason!) is to travel in the off season. You’ll see less people and better prices on things like excursions and AirBnB’s. You can also do your part to support the local communities by staying at homestays and eating at local cafes and shopping locally instead of at all the touristy shops. Or you can also explore lesser known cities! 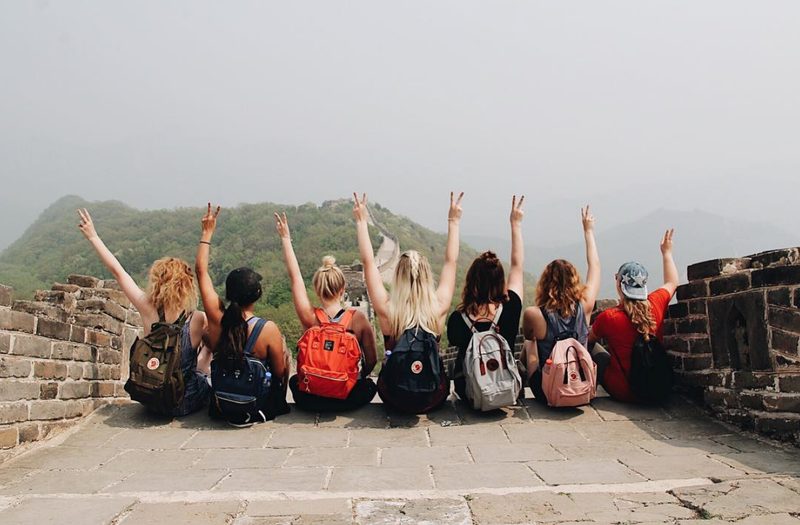 As an ILP volunteer (International Language Programs) you’ll be living in Europe for a semester with every weekend off plus vacation days to really experience this part of the world. And you can pack in tons of countries if you want — we have had volunteers see 15 European cities in 10 days.